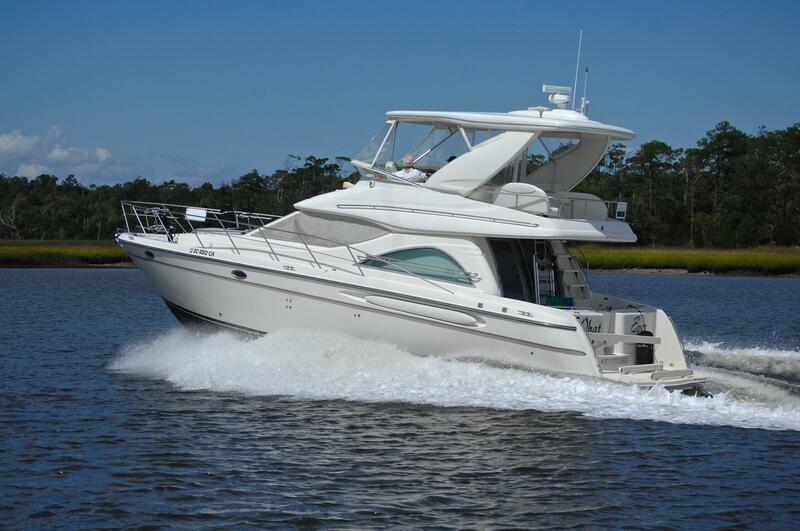 The Limited Edition 46 gives you the hardtop on the bridge and other features not found on the lesser models. 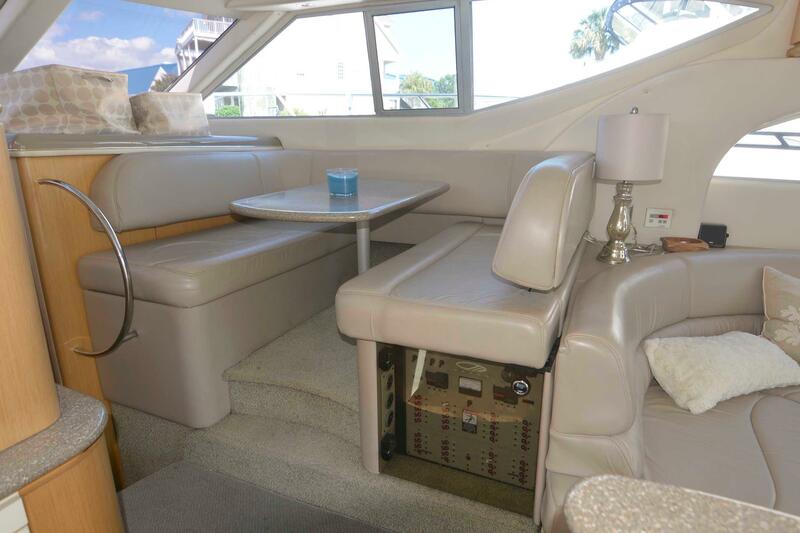 A well designed open Salon with tons of natural lighting, a large usable Cockpit area, and Fiberglass Molded Steps that lead to an awesome Bridge Deck with a full Fiberglass Hardtop and enclosure are just a few of the features you will find here. 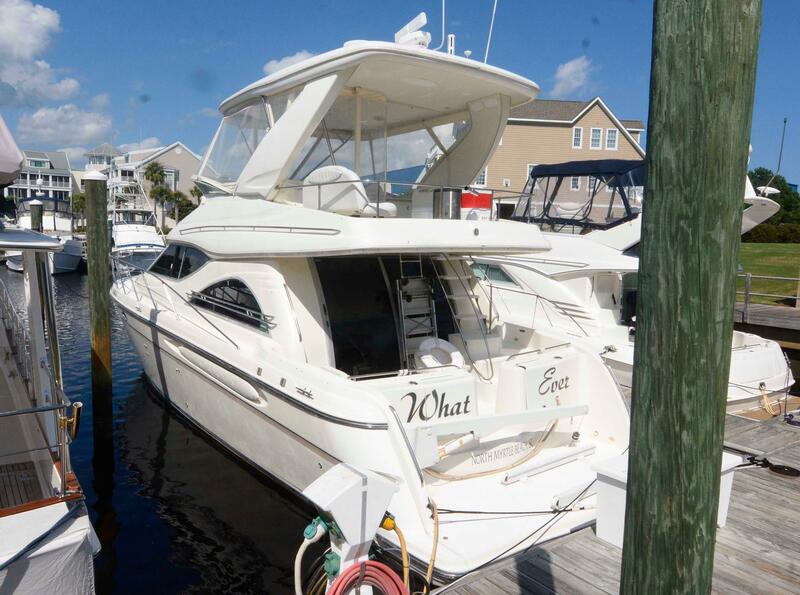 This boat has had it's 1000 hour engine service and includes a fairly recent wax job. 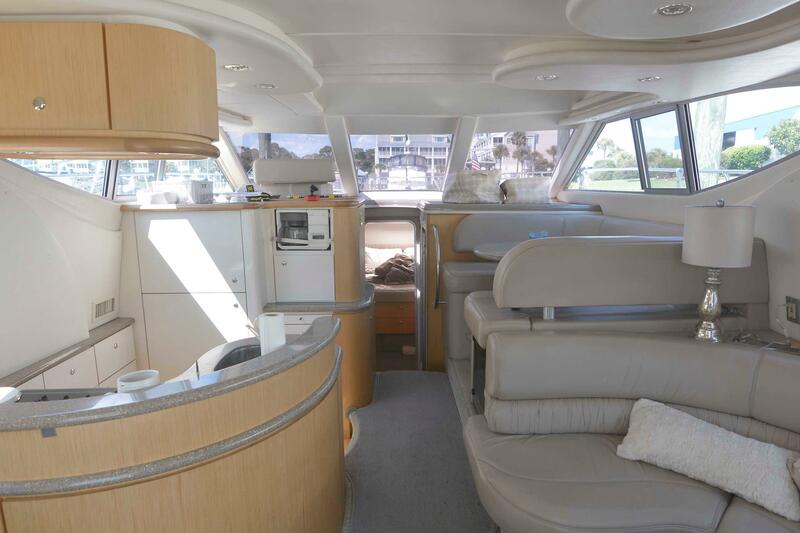 From bow to stern you will find this to be a yacht ahead of her time with modern styling and layout. 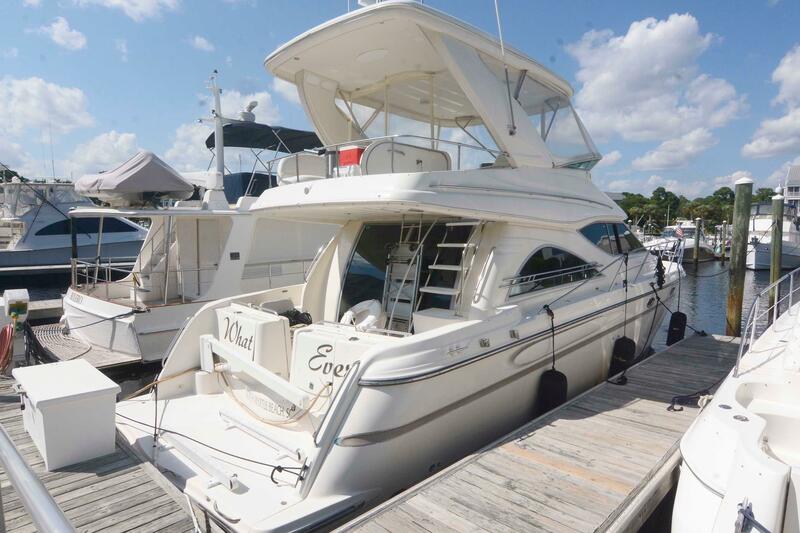 If you are in the market to get the most for your money under $200k this boat deserves a look. 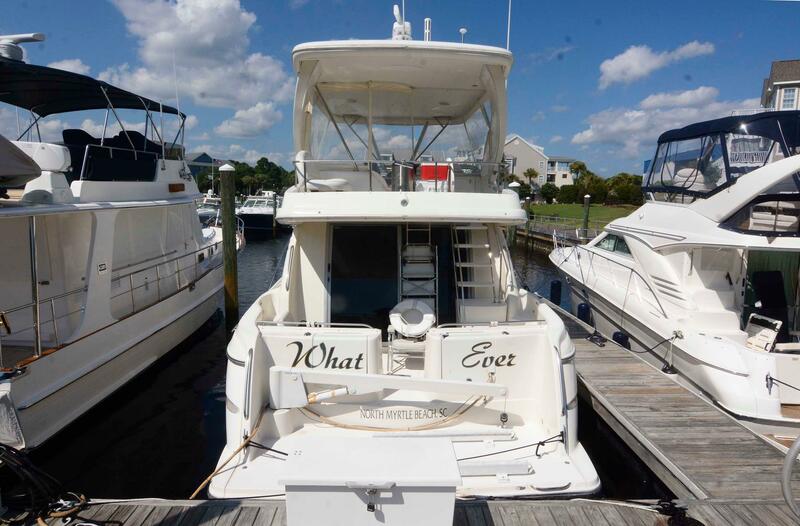 Call for appointment today. Shown by appointment only. 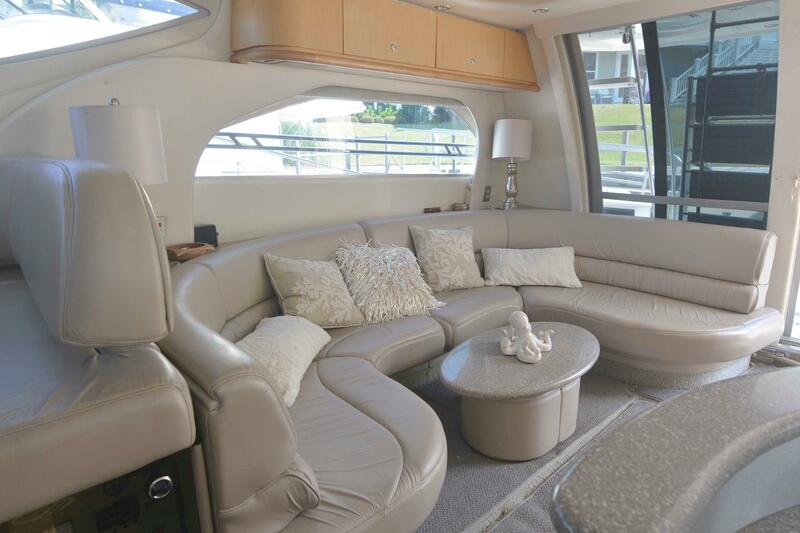 The Maxum 4600 SCB LE is a Two-Stateroom Two Head Design. 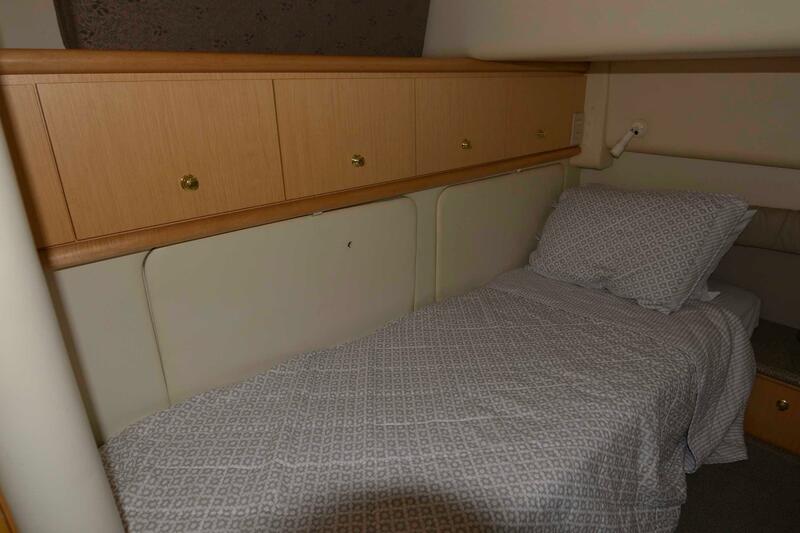 The Master Stateroom is forward and features a center-line Island Queen Berth, Hanging Lockers and ample Drawer Storage. 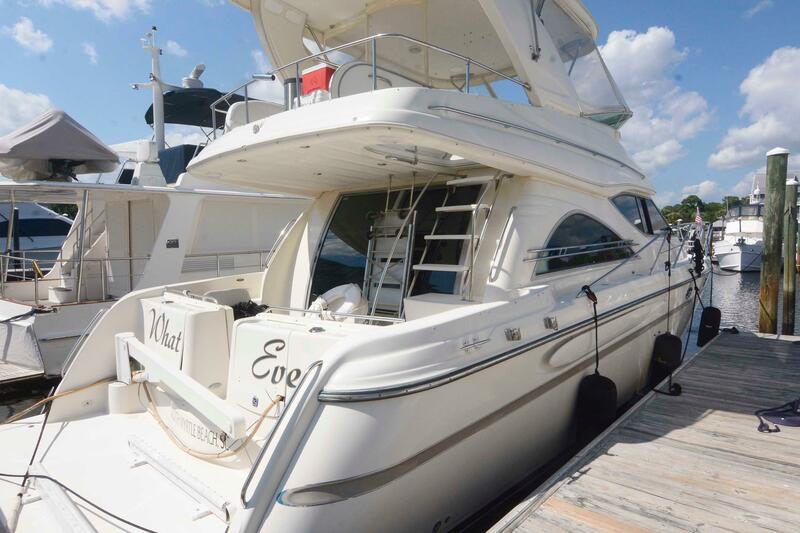 The Master Head is aft and to port side, dedicated to the Master Stateroom and features a large shower/tub, a privacy door, and Vacu-Flush Head. 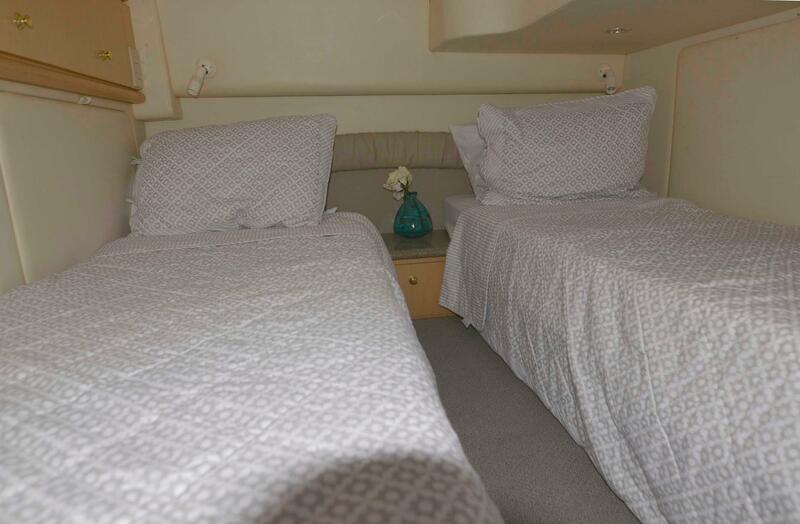 The Second VIP Stateroom is to starboard and features two split Single Berths with a filler cushion. 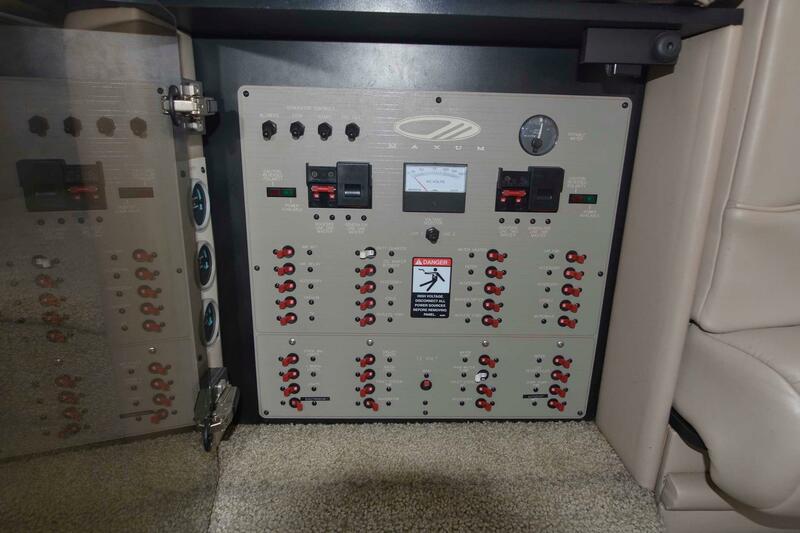 The VIP / Guest Head is forward of the VIP and is accessed by a privacy door from the VIP. 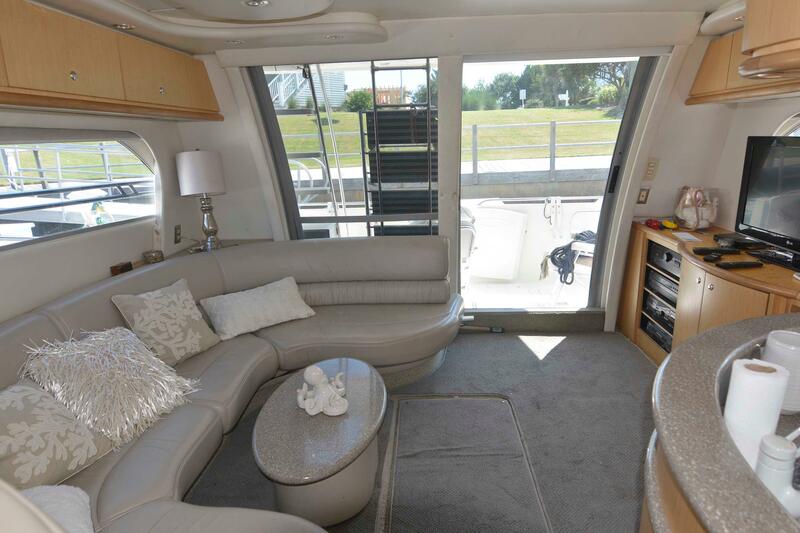 The VIP also has a stall-type shower and Vacu-Flush head. Hardtop Painted With Awlgrip - No Streaking! The Salon is bright and open with tons of natural lighting. 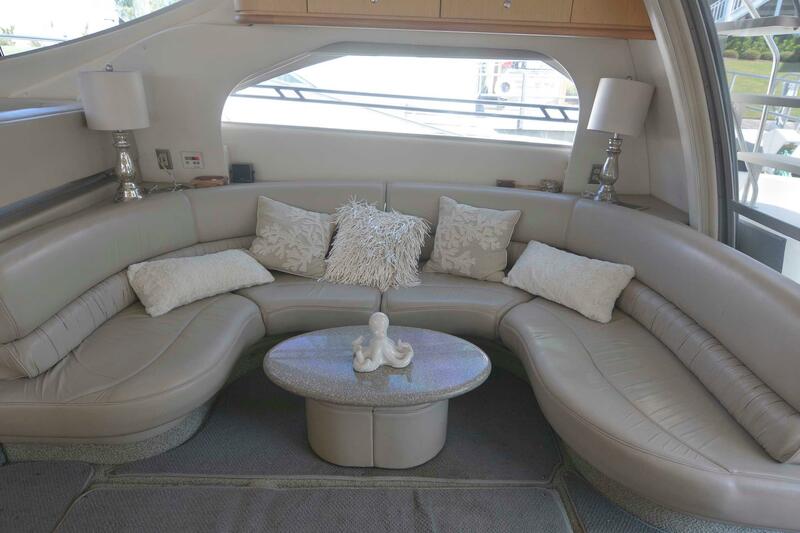 The Salon is dominated on the starboard side by a large crescent-shaped Sofa with Hi-Lo table aft, and by a large Booth Dinette forward. 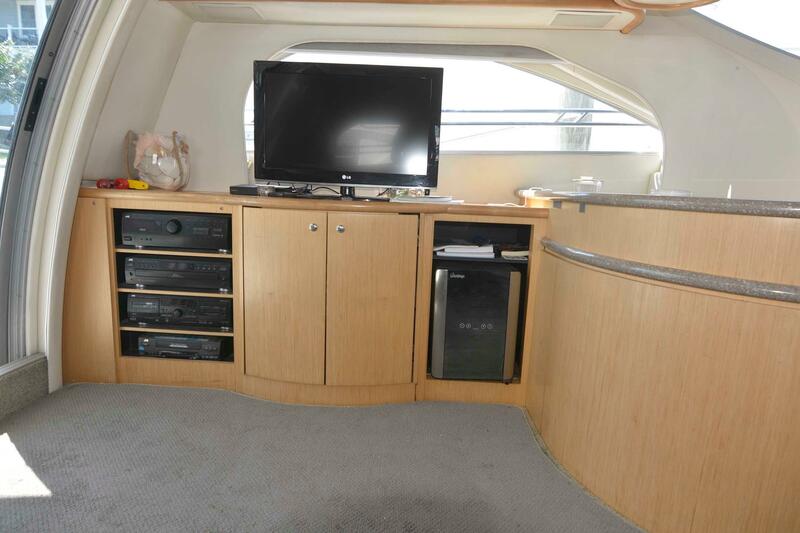 Opposite of the Sofa is an Entertainment Center within Maple cabinetry. 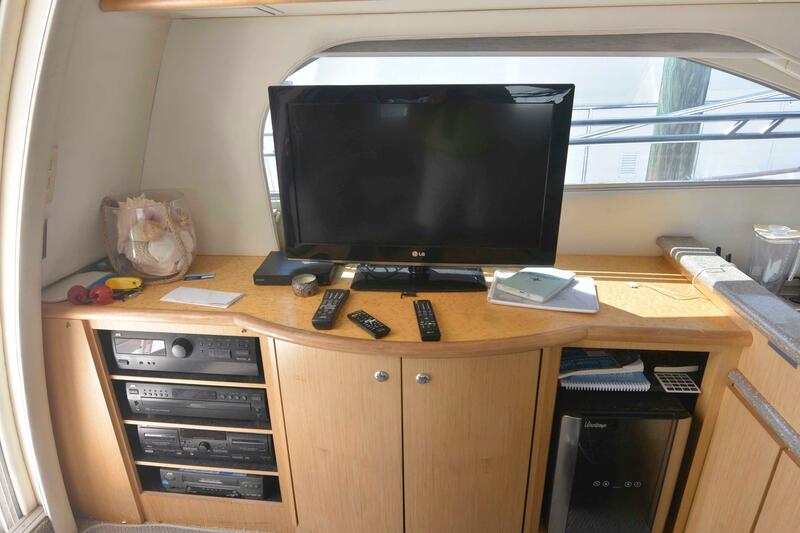 Here is a new flatscreen TV, a stereo system with surrounding speakers and a built-in Wine Cooler. 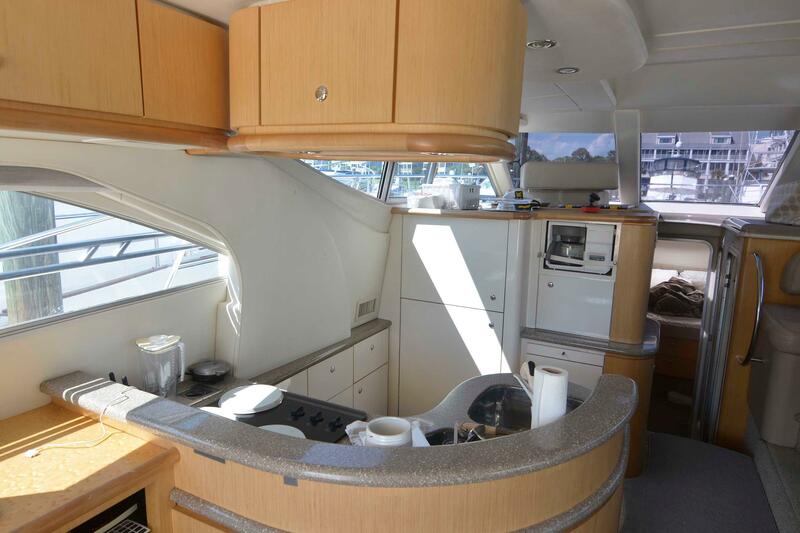 The Galley is opposite of the Dinette, forward of the Entertainment Center.